Thermoelectrics directly convert heat to electricity. If an electrical current is applied to these semiconductor devices, heat can be pumped in either direction depending on the polarity of the current. The efficiency of these devices is related to the electrical current divided by the thermal conductivity. According to the Weidmann-Franz relationship, these two parameters are in lockstep as a function of temperature for most materials. In the mid 1990’s, Prof. Mildred Dresselhaus at M.I.T. analytically proposed a nanoscale approach for what she calls “low dimensional materials,” which allows electrical current to flow while the thermal conductivity is reduced by phonon scattering through the increased number of grain boundaries in those materials. During the same time frame, NASA-JPL was experimenting with face-centered cubic materials called Skutterudites having six filled and two unfilled cages in the atomic structure. Large atoms are forced into the empty cages which dissipate thermal energy by “rattling”. The Department of Energy (DOE) initiated a project 18 years ago to develop a vehicular Thermoelectric Generator (TEG) to convert engine waste heat directly to electricity. DOE began testing TEG on heavily loaded heavy-duty diesel trucks at the PACCAR test track for the equivalence of 550,000 miles. In the DOE program, vehicular production prototype TEGs were developed for BMW, Ford and GM cars and heavy duty trucks. These TEGs have been designed and fabricated and are now undergoing testing. They may provide significant improvements in fuel economy. Their initial commercial introduction is expected to take place in 2012-2013, followed by market entry in much larger numbers in the following years in vehicles from BMW, GM and Ford. This year, DOE is initiating an automotive Thermoelectric Heating, Ventilation and Air Conditioning (TE-HVAC) system which will maintain single occupant comfort using only 630 Watts of energy, compared to the 3,000 to 4,500 Watts required by current commercial air conditioners for vehicles. JOHN FAIRBANKS earned engineering degrees from the Maine Maritime Academy, Stanford University, and the University of Santa Clara; and has done Post Graduate studies at Rice University and Johns Hopkins University. He served three years of active duty in the Navy, did two tours on the USS Montrose in WestPac and one year as an Instructor in the Officer’s Damage Control School, Treasure Island, San Francisco. At Hiller Aircraft, he worked on V/STOL technology, principally the Detached Coanda Effect, and designed bearing and gear box test stands for the XC-142A Tilt Wing Aircraft. He went to Philco-Ford in 1963 to design a Brayton Cycle power system for a solar approach mission which evolved to a thermally controlled photovoltaic design. He developed an optical coating program for thermal control of solar cell performance. He did spacecraft heat transfer design using thermoelectrics to maintain thermal levels in spacecraft electronics. He taught Mechanical Engineering courses (Thermodynamics, Dynamics, and Fluid Mechanics) at the Maritime Academy branch of Texas A&M. At NASA-Goddard Spaceflight Center, he designed spacecraft solar arrays for four types of spacecrafts. He was the Power System Manager for the Orbiting Astronomical Observatory (OAO), the largest unmanned spacecraft at the time. He transferred to the Naval Ship Engineering Center in 1971 to become Program Engineer on the FT-9, a marinized version of the JT-9D aircraft gas turbine engine, which powers the 747s. He was Program Manager of the Ceramic Gas Turbine Demonstrator Program with Garrett AiResearch and managed the gas turbine materials program. He organized the first 3-Gas Turbine Materials in a Marine Environment Conferences. He moved to the Department of Energy in 1977 to work on stationary power gas turbine components developed from aircraft gas turbine engine technology. He developed the Combustion Zone Durability Program to enable diesel and gas turbine engines to operate on low quality petroleum and coal derived liquid fuels. This program concentrated on coatings, primarily thermal barrier coatings. He coordinated the test and evaluation of coal derived liquid fuels in diesel engines He was Program Manager for the Low Emission – 55 Per Cent Efficient (LE-55) diesel engines for Class 7 & 8 heavy duty trucks. He initiated and has served as the Chair for the series of Diesel Engine Efficiency and Emissions Research (DEER) Conferences. The 15th conference in that series was recently held in August 2009 in Dearborn, Michigan. In 1997, he initiated the Light Truck Clean Diesel Engine Program to develop commercially viable diesel engines for sports utility vehicles, mini-vans and pick-up trucks. In 1994, his program began to develop and test thermoelectric generators on vehicles. More recently, he has organized and is managing major programs to develop and commercially introduce Thermoelectric Generators for transportation applications. Currently, his program is initiating projects to develop TE-HVAC which can significantly improve fuel economy. Mr. Fairbanks has authored or co-authored 104 technical papers. Two of his papers won the John C. Neidermayer award for the best technical paper presented at Association of Scientists and Engineers (ASE) [NAVSEA] Conferences. He is a Past Chairman of the American Society of Mechanical Engineers (ASME) – Washington Section, and received the ASME Distinguished Service Award. He was elected Vice President of the Stephen Decatur Chapter of the Naval Reserve Association. In 1975, he won the Outstanding Alumni Award – Maine Maritime Academy. While at the NASA-Goddard Spaceflight Center, he was awarded the Apollo Achievement Award. He was elected Chairman of the Department of Energy’s Material Coordinating Committee in 1981. In 1984, he organized the US participation in the First NATO Workshop – Coatings for Heat Engines. On July 2, 2008, he delivered the Plenary Presentation for the European Conference on Thermoelectrics in Paris. He gave an invited presentation at the 12th Global Powertrain Conference at the University of Chicago on October 14-15, 2008. Recently, he made a presentation at the MIT-NESCAUM New Directions in Energy Policy and Impacts on Air Quality Symposium, Dedham, MA, August 11-12, 2009. 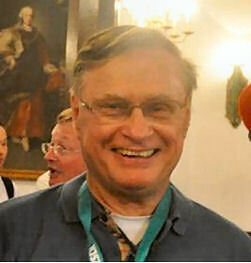 Mr. Fairbanks was a Plenary Speaker at the International Thermoelectric Conference (ITC) 2009 in Freiburg, Germany. He holds a USCG issued 1st Assistant Engineer’s License. He is a Captain in the US Navy Reserve (Ret) and was the Commanding Officer of six Naval Reserve Units. President Larry Millstein called the 2,259th meeting to order at 8:15 PM October 30, 2009 in the Powell Auditorium of the Cosmos Club. The minutes of the 2,258st meeting were read and approved. Mr. Fairbanks started by reminding us of the recent progress in transportation. He showed a picture of a typical stagecoach in the early 20th century. A big coach that could take eight passengers, it required four-horse power. It featured drive-by-line control. The fare was 25¢ for four miles. It used biomass fuel and there was a stable fuel cost. The emissions were equine methane and an agglomeration of macro particles which were minimally airborne and easily recyclable. Things are different today, and the difference involves a great amount of energy. Pictures of roads about 1900 illustrated the difference starkly. There were very few of those four-horse coaches. 25% goes into moving the car and running the accessories. Thermocouples, devices that convert heat into electricity, are a means to get something out of the 75% of the energy that is being wasted as heat. Joseph Henry, founder of the Philosophical Society, did pioneering work in electricity that led to the telegraph, electric motor, and telephone. Johan Seebeck, Henry’s contemporary, did related work; he made a device of copper and bismuth. He heated one end of the bismuth and cooled the other and produced a current in the copper. This was actually the first thermocouple, and with these materials, Seebeck could have made a thermoelectric generator (TEG) that was 3% efficient, as good as the best steam engines at the time. U.S. spacecraft use radioisotope thermoelecric power generators. They are small but very constant and reliable. Thermocouples can work either way, take in heat and put out electricity or take in electricity and put out heat. The heat transfer can be used either to cool something or to warm something. He described the figure of merit for TE materials. Positive contributors are electrical conductivity and the Seebeck coefficient or thermopower, and negatives are two types of thermal conductivity. The best material combinations available today produce electrical generation efficiencies of about 12 per cent. Big-engine companies like Cummins and Caterpillar are interested in TEG’s, and they are also interested in turbine engines powered by the exhaust stream, which they are already using. It is possible to run the two types of devices in a series in the exhaust stream. Mr. Fairbanks hopes to use a thermoelectric generator to replace or reduce the belt-driven generator. With the extra available electricity, devices such as the water pump may also be electrically driven, and a beltless engine may be possible. BMW has an electric water pump. This, alone, is said to improve fuel economy 1.5 - 2%. Electrical power demand in automobiles is going up, too. Drive-by-wire, collision avoidance, electric power steering, electronic braking, all those things take electricity. Between 2000 and 2005, the average power needed in a midsize car went from about 1 kw to over 3 kw. Thermocouple efficiency is the effective limitation of TEG’s at present. They are working on the material structure to improve that. Many of the newer ideas for modifying the material structure are nanoscale modifications. He spoke of skutterudites, crystal lattice structures of cobalt and antimony atoms arranged as square planar rings. The structures have voids that can be filled with atoms which lowers the thermal conductivity and raises the figure of merit. The thermoelectric modules go into the exhaust system downstream from the catalytic converter, where the temperature is highest. A heat exchanger, or radiator, will be connected to them to keep the thermal differential up. It is possible that eventually, heat will be used from the engine coolant, too, but present designs call for much higher temperature, in the neighborhood of 500°C to drive the TEG. One of the benefits will be reduced carbon emissions. More than 80% of cars today do not meet the 2012 standards. Mr. Fairbanks showed pictures of the devices installed in working vehicles. A BMW auto had a TEG built into the exhaust system. A gauge on a Chevrolet Suburban showed the TEG generating over 500 watts at 45 miles an hour. They are also working on cooling using TEG’s. The cooling would be built into the seats. Such systems would work faster and eliminate the need to cool the whole cabin. There are about 220 million personal vehicles in the U.S. Cooling with TEG’s would save 4.5 billion gallons of fuel a year and reduce greenhouse gases by 69.5 million metric tons of CO2. There is also a program to use TEG’s on boats. The engine on a boat is normally working pretty hard and there is a ready supply of cooling water. People are also experimenting with TEG cooling of a submarine, of fruit for storage, and in clothing for military troops. Looking forward, they hope to see, in three to six years, TEG’s producing a 10% fuel economy gain, beltless engines, and thermoelectric air conditioning in cars. In seven to 15 years, they hope to see thermoelectric generators and replacement of the air conditioning with thermoelectric devices. Beyond that, they hope to have 35% efficient thermoelectrics which would replace the engine with combustors that will burn any fuel. He concluded by saying that thermoelectrics are not just for space any more. After the talk, one person recalled a thermoelectric project he’d done as a child and asked about the role of amateurs in thermoelectrics. There hasn’t been much activity by amateurs, Mr. Fairbanks said, but there was one interesting one. Many decades ago, in Russia, a device was developed that was attached to the base of oil lamps and produced enough power to run radios, and many radios in Russia were run that way before electrification was widespread. A question was asked about the temperatures needed. Auto engines provide temperatures of about 800°C to 240°C. NASA uses higher temperatures, about 1,200°C. Diesel engines provide somewhat lower temperatures. The efficiency is higher with greater temperature differentials. Another questioner asked, since hybrid auto engines increase efficiency by about 10%, what is the reason for TEG’s. Mr. Fairbanks said, in effect, that both can be used at the same time. After the talk, Mr. Millstein presented to Mr. Fairbanks a plaque commemorating the occasion. He made the usual housekeeping announcements, including the parking announcement, and encouraged people to join our Society and members to participate actively. Finally, at 9:18 pm, he adjourned the 2,259th meeting to the social hour.